Qinghai: Nangqen Xian. ca. 30 km W of the town of Nangqen along the Xiao-Qu (Xiao River) in Xiao-long Gou. Narrow gorge through steep, limestone cliffs. 32°15'21"N, 96°19'33"E; 4100-4200 m.
Grazed meadows, slopes. Common shrubs ca. 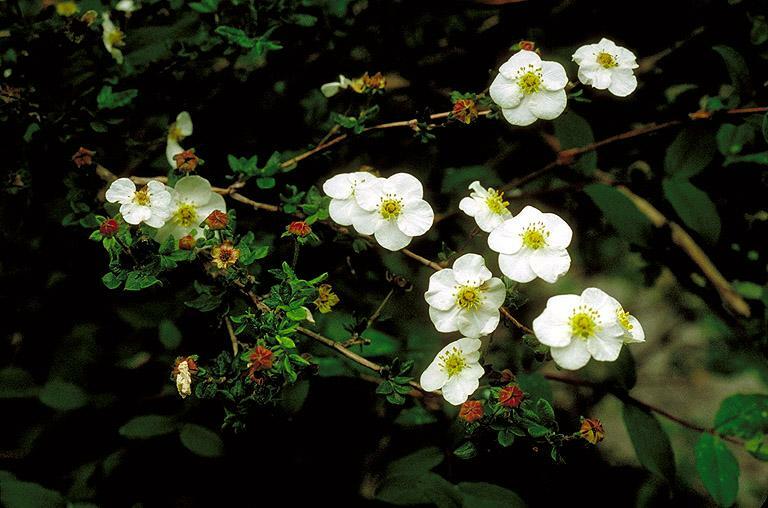 1 m tall; flowers white; growing with Potentilla parvifolia (Boufford et al. 26575).